Jurgen Klopp has backed Simon Mignolet and handed him a five year contract, but frankly, if the Belgian continues to cost Liverpool matches, he’ll have no option but to change his mind in the summer. Mignolet’s made nine mistakes this campaign which have directly led to a goal, the most of any Premier League player in the past three seasons. That’s not good enough, in short. Would any of these six be a notable upgrade and which would you prefer…? The Englishman is enjoying a wonderful season with Stoke, and he’s the only player on our shortlist with Premier League experience. However, all this means he’ll come with a crazy price-tag. At 22 though, Butland is years away from his goalkeeping peak, a scary thought considering how impressive he already is. If it wasn’t for Joe Hart, he’d possibly start for England at this summer’s Euros. We’d take Butland, providing Stoke don’t charge an extortionate price. In this day and age, they’d probably ask for something close to £30m. The most realistic ‘exciting’ option. The German plays second fiddle to Claudio Bravo at Barcelona and has done for over a season now – criminal for a keeper of his ability and potential. There’s been countless links to Liverpool, although Klopp has played down them all and given Mignolet his backing. All fans would love to see the Champions League winning stopper between our sticks. He’s wonderful with the ball at his feet, an imperious shot-stopper and commands his area. The second of three Germans on the list, Horn plays in the Bundesliga and features regularly for the national Under-21 side. 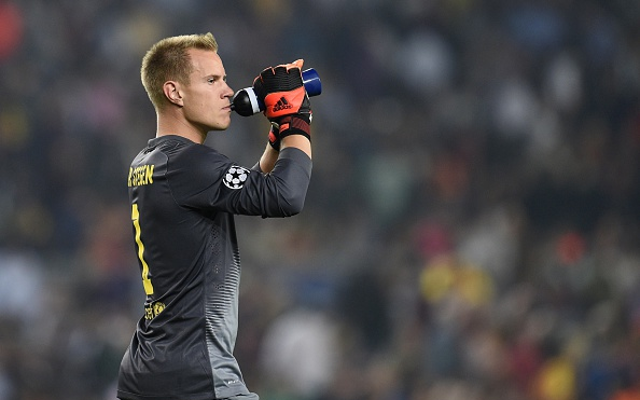 He stands at 6 ft. 4″, and while not possessing as impressive distribution as ter-Stegen, he is more consistent than his countryman. We’ve included Mandanda as a cheap option, as he’s running out contract in Ligue 1 and will potentially be available on a free transfer come the summer. The 30-year-old has won 21 caps for France and is entering his goalkeeping peak. Mandanda is an excellent reflex shot-stopper and is very vocal with his backline, although he has made some high profile mistakes this season. The young Italian was touted as the long-term replacement for Gianluigi Buffon in the Italian national side, although that spot’s now been given to the tremendously highly rated 16-year-old Gianluigi Donnarumma, who’s only 16-years-old but already an automatic starter for AC Milan! Perin though is very talented himself and will be available due to the financial situation of clubs in Serie A – which lacks the Premier League coffers. Leno is Manuel Neuer’s backup in the Germany squad, a role he’ll likely have for some time with the world’s best goalkeeper not yet in his thirties! This is in no disrespect to Leno though, who’s a tremendous stopper in his own right. His distribution could improve, but his basic goalkeeping attributes are exceptional. Fantastic shot-stopper, but even more importantly – brilliant in the air – meaning he claims anything aerially with confidence. How nice that’d be at Anfield! ?